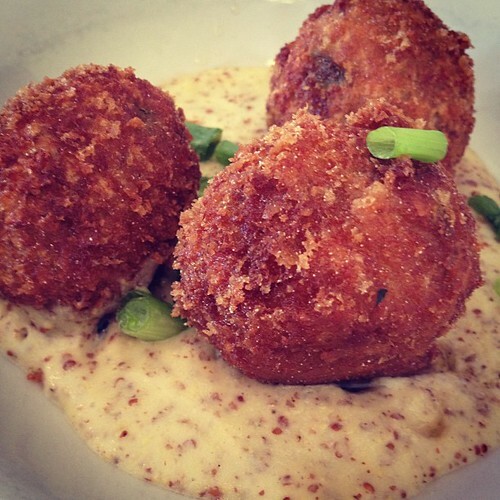 Boudin ball: A Cajun variation on boudin blanc. Instead of the fillings being stuffed into pork casings, it is rolled into a ball, battered, and deep fried. Remove the boudin from the casing. Form dressing into balls about the size of walnuts. Dip balls in beaten egg and then into seasoned bread crumbs. degrees until lightly browned. Drain on paper towels. Serve hot with toothpicks.